Is Financial Literacy Going Mainstream? You probably wouldn’t expect to hear evidence of important social and economic progress on “The Sports Junkies” – a popular morning radio show that airs on Washington, D.C.’s 106.7 The Fan. But that’s exactly what I got a couple of weeks ago when tuning in for my daily dose of EB, Cakes, JP, and Lurch – four childhood friends who’ve parlayed their entertaining chemistry and love of sports into what many would consider a dream job. The Junks had former MLB player and current MLB Network studio analyst Cliff Floyd on, and after discussing the current season and the fate of the Washington Nationals with the former All-Star and World Series champ, the conversation actually turned to…financial literacy. Floyd had been featured on the ESPN documentary Broke, discussing the financial pitfalls that await professional athletes, and the Junkies – like most folks in the middle of their working years – are somewhat obsessed with wealth management and the prospect of retirement. “Were you fiscally responsible with your money when you were making a lot of cash, or did you give it away and spend it and buy a couple of houses and a bunch of cars?” one of the hosts asked Floyd. Floyd also talked about buying a $65,000 platinum Rolex at one point, but he made sure to note that he bought it knowing it would retain a lot of resale value (and that he still, in fact, has it). In short, Floyd learned a great deal about money and the ways of the world through his own experiences, and he is now hoping to help others avoid learning things the hard way. Besides providing some behind-the-scenes tidbits about life as a big leaguer as well as the production of a popular documentary, this interview (which you can listen to in its entirely above) illustrates how financial literacy awareness is spreading into popular culture. 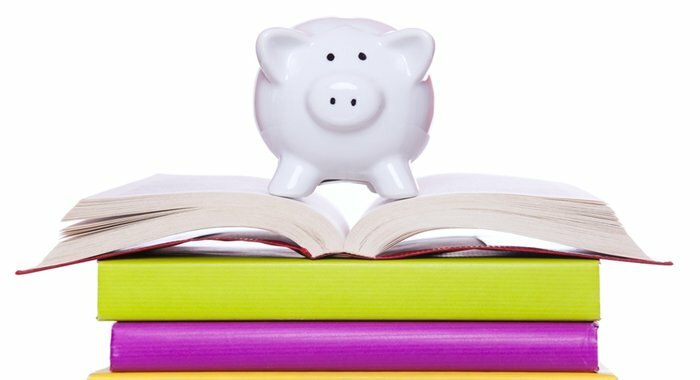 With student loan debt out of control and more than 70% of parents saying their kids don’t know the basics of money management, that’s an important first step toward ensuring that future generations will avoid the same types of financial struggles we’ve endured in recent years (or worse). "Economics has always impacted popular culture," says Neal Lester, the associate vice president for Humanities and Arts at Arizona State University, and there are indeed many recent examples of athletes, entertainers, popular TV shows, etc., showcasing financial responsibility and/or offering topical learning opportunities. Those listed below are only a small sample. Broke: Part of ESPN’s acclaimed “30-for-30” series, this Billy Corbin-directed documentary explored the financial misfortune of numerous high-profile professional athletes, including Bernie Kosar and Curt Schilling. Mac Miller: “What would I do with a million dollars? / First off, I'd start payin' bills to my father / Then pay for college…,” Pittsburgh-native Malcolm McCormick raps on his new album, Watching Movies With The Sound Off. Entourage: While Vince and the boys didn’t control their spending too well, viewers did get a sense that the characters were living beyond their means, as the star’s accountant was constantly hounding him about frivolous purchases. Modern Family: The hit show on ABC isn’t afraid to explore important social issues, and in a recent episode one of the mothers on the show conveyed the same type of frustration that countless folks have endured in recent years, saying: “I thought I would be going back to work when the kids got older, but it's not as easy as you might think. People aren't exactly lining up to hire a woman who is almost 40 and has been out of the job market for 15 years.” Steady income and an awareness of the economic landscape are important components of financial literacy, after all. YouTube Videos:"It is likely that economics, along with the prevalence of social media, has led to a number of self-created music and other kinds of performances on YouTube and other social media outlets," Lester says. "Folks may not be able to travel to audition sites for American Idol or America's Got Talent, but they may upload a video of themselves singing and stars can be born if the right person sees it." Talk Shows:Talk shows are known for having segments on do-it-yourself projects and other ways to be frugal, but it seems this type of programming has increased in recent years. According to Lester, "The attention to affordability of things like clothes and products is certainly more visible on some shows like the TODAY Show, Wendy Williams and The View, for instance, where regular segments on air travel, staycations and vacations, and Steals and Deals feature alleged bargains." NFL Players: The National Football League and Visa have teamed up on a financial literacy campaign that includes players visiting local schools to preach responsible money management as well as “Financial Football” – “a fast-paced, interactive game that engages students while teaching them money management skills. Teams compete by answering financial questions to earn yardage and score touchdowns,” according to the initiative's website. Perhaps the seeds of this phenomenon were sown back in 2005 at the first annual Hip-Hop Summit on Financial Empowerment (which was, of course, organized by Russell Simmons). Or maybe enough people simply came across the 2009 Sports Illustrated article that revealed 60% of NBA players go broke within five years of retiring and 78% of ex-NFL players go bankrupt or endure “financial distress.” Or the statistics that show student loan debt is up over $1 trillion, while unemployment among people 18-254 is in the 13-23% range. Or the stat that revealed only about 2 in 5 adults keep a budget. Regardless, one would assume that mainstream attention is a positive sign. The more people who are talking about important financial issues, the more awareness there will be, and ultimately (hopefully) that should help improve our habits, right? Well, “big events get ‘reflected’ or represented in pop culture,” according to Bruce Carruthers, a professor of sociology at Northwestern University, and the Great Recession was undoubtedly a big event. Besides, the more you think about it, the disparate approach that pop culture takes toward wealth and financial management really does reflect the radically different qualities of life lived by different classes in this country as well as the recession’s disproportionate impact. Or, for a more cynical perspective, could it be that the preponderance of financial responsibility-related messages in pop culture is actually a way to spur consumption and aid an ailing industry? The conscious involvement of individual celebrities is debatable and probably case-dependent here, but whether promoting everyday products and relating to the common man is the result of a classic trickle-down domino effect of executive scheming or pure happenstance, it sure makes sense as a business strategy. You could certainly make the case that such trends – regardless of their intent – offer positive side-effects. For example, if we see more of the people that we look up to (for better or for worse) wearing H&M and the like rather than the Gucci’s of the world, then fewer people will waste money on image-conscious shopping sprees. But even so, experts are somewhat dubious about how effective financial literacy messaging can ultimately be when expressed through pop culture or even how receptive our overall society will be to it. In fact, some believe this type of information to be the key that could open a Pandora’s Box of class-based animosity. That’s a fair point indeed, and it perhaps touches on some important issues related to the American psyche. But that is another story for another day. What we need at the moment is a way to truly improve financial literacy in this country in order to secure a positive financial future for our children. After all, having celebrities tout fiscal responsibility isn’t going to cut it – no matter how effective you believe it to be. At the end of the day, the fate of financial literacy will depend on the education system and, potentially, some sort of state-specific or even federal legislation. However, socially-conscious celebrities and corporations can use their visibility and reach to do a lot of good. One particularly interesting mode of doing so is Twitter. Public figures have millions of followers who check out their musings countless times per day. The right message from the right person or organization can therefore be quite effective. If typing won’t work, they can also test out the old adage that "money talks." As Baker notes, "those who support relevant causes and have knowledge about them can benefit society." But hey, even if few people step up in this manner, we’ve always got The Sports Junkies! PREVIOUS ARTICLEWith Virgin Atlantic Partnership, Chase Continues to Expand Impressive Rewards Sharing NetworkNEXT ARTICLE Are New Credit Card Protections on the Way for Small Business Owners?